Rain … Rain … Come Again! 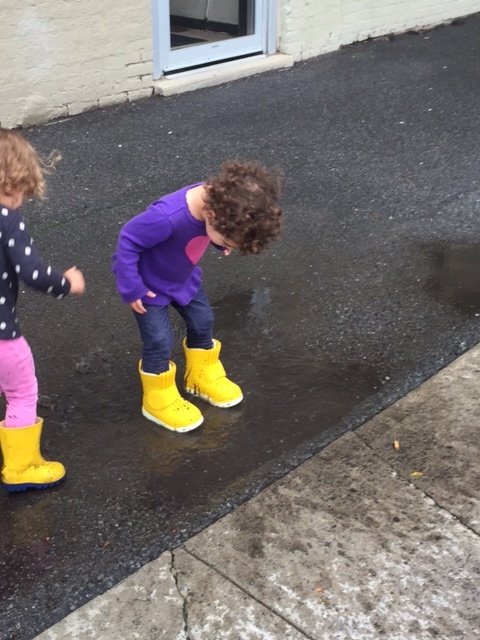 A great pair of rain boots can make anyone want to run and jump in puddles. That’s just how my little one feels now with her shiny sunshine yellow Emperor Supreme Butler Boots. 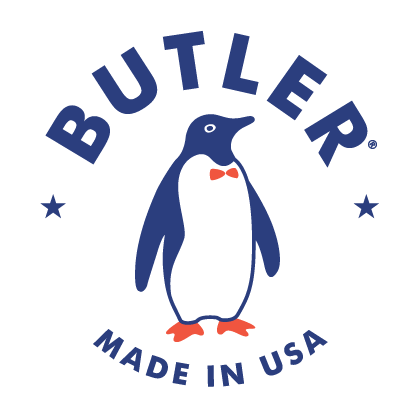 Butler recently reached out to me about whether I would be interested in trying their boots for my 2.5 year old daughter. As a lady who loves her boots, I of course jumped at the opportunity. 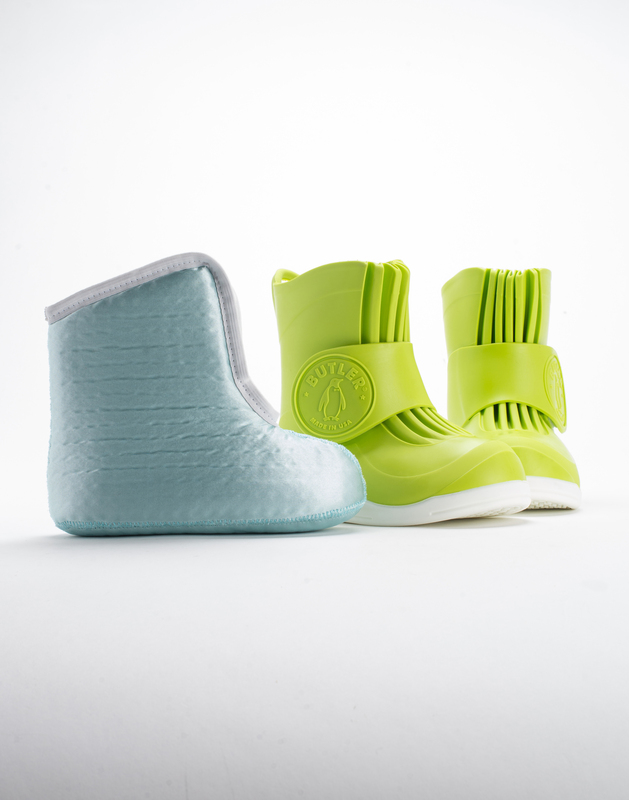 When my daughter opened the box she was thrilled by the bright color and the design of the boot overall. The boots provided my daughter with a little extra independence because she was quickly able to put them on and take them off all by herself (a big feat for a little girl!). It took a few tries to teach her that the velcro goes on the outside, and overtime she would put the boots on and I would sing “buckles on the outside …. buckles on the outside…. ” while dancing around. She was all giggles and now we sing that little rhyme for all sorts of things. 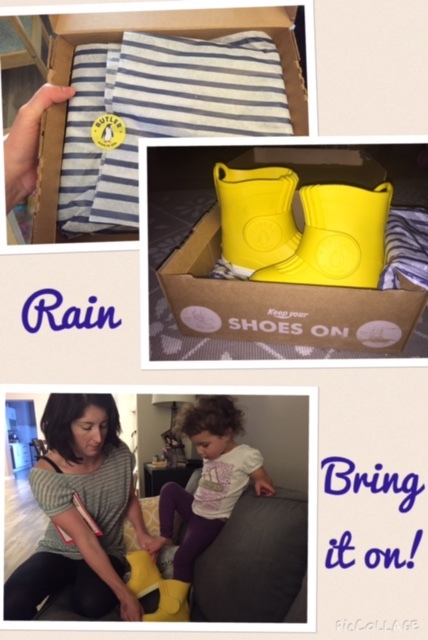 I tried to explain that we would have to wait for a rainy day before really giving them a try, but she insisted that she wear them inside. For once we were looking forward to a real rainy day, but with those Canadian summers we had to wait a few weeks. And as soon as the sky started to spit, we were out the door on a mission to find puddles. I think the video says it all! Those boots contributed to a fun Sunday afternoon. And frankly, given the bright colors available and the lightweight design I cannot imagine buying any other brand. The bright colors are also useful as it starts to become darker sooner these days, really provides a sense of comfort and security when we are out in the evenings. My little one also received several compliments on how unique the style was, as well as how practical the insulated insert is given our climate. We can see her enjoying many late fall evenings and first snow falls with these boots. This is great, Britt! It’s so important that we spend time outside, and good gear can help us do this in all sorts of weather! Help keep my blog growing ! I earn a small commission on all purchases. Do not copy or repost unless you have received written permission from the primary author of My Mama Journey. If you do copy or repost, please credit the works of My Mama Journey. I am by no means a health practitioner, nutritionist or a fitness expert (certification in progress). The information, opinions, reviews, linked posts (anything shared on this site) are not intended to substitute medical advice. I am not a doctor and don't pretend to be one. You should speak to your doctor or allied health care professional before attempting any of the exercises, or incorporating any of the information, outlined on this blog, or any other blog for that matter as part of your lifestyle. All the information on this site is my opinion. 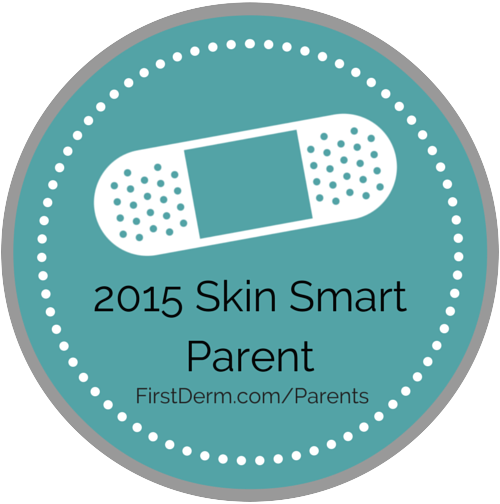 I share with others what has worked for me and my family. Readers should consult a doctor before making any health changes. No information on this site should be relied upon to determine diet, make a medical diagnosis or determine a treatment for a medical condition. Any statements or claims about the possible health benefits conferred by any foods or supplements have not been evaluated by the Health Canada or other health organizations and are not intended to diagnose, treat, cure or prevent any disease. I share my own opinions on the products and/or companies that I may choose to (or be approached to) review. For those companies that I choose to represent on my blog, I am compensated for the reviews and the endorsements that I provide.